Attention European fans–Mario and Sonic may be at a big screen near you…just not quite in the way you imagined. It won’t be a feature length clash of the video game titans, but rather ads promoting the upcoming Mario and Sonic at the Olympic Winter Games that will be seen in theaters across Europe. According to Sega Nerds, Sega bought ad time preceding some of this summer’s big blockbusters, including Up, G-Force and Harry Potter and the Half-Blood Prince. The company is trying to target family demographics as a means to even further expand the sequel’s potential success. 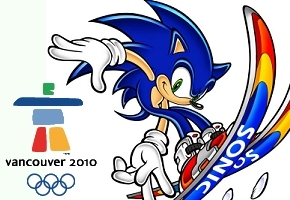 The original Mario and Sonic at the Olympic Games sustained gangbuster sales for Sega in Europe, and these ads may only extend what are expected to be high hopes for the Winter Olympics variant. In all, 7.5 million moviegoers are expected to be reached by this initiative. For the moment, it only appears the 30 second ads will run in cinemas throughout Europe. There’s no indication on whether Sega has bought ad time elsewhere in the world.